Contact offers a range of pages to do with education & learning with SEN. Click icon to browse. The go-to place for SEN & Disability information is the Lincolnshire Family Services Directory. Click one of the icons to browse or search. to improve provision by working directly with families, children and young people. This is their index of topics about support with Special Educational Needs (SEN) and Education, Health and Care (EHC) needs. It includes information about Education, Health and Care Plans (EHC). The assessment process goes like this. If a child or young person has an Education, Health and Care (EHC) Plan, or has been assessed as needing one, then a personal SEND budget can be requested. See: outline money. The Transistions Pathway for ages 14 – 25 is designed to move away from an educational focus with a person centred approach to enable children and young people to have better life outcomes. See guide. SEN/EHC Support has quite a bit of information that could help with troubleshooting. SPELL is a framework for understanding and responding to the needs of children and adults with autism. It stands for Structure, Positive approaches and expectations, Empathy, Low arousal, Links. Click icon to find out more. 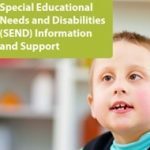 The SEND code of practice lays out the statutory guidance for organisations such as schools who work with children who have Special Educational Needs. Liase talks about it as the parent’s bible for SEND meetings. Alternatively, see publication. Chapter 6 – This chapter applies mostly to mainstream schools. (Page 91) Liase says to print this chapter and use highlighters and a pencil to note each paragraph for use at your SEN meeting at school. Chapter 9 – This chapter covers all the key stages in statutory assessment and planning and preparing the Education, Health and Care (EHC) plan. The Special needs Jungle is a parent-led resource offering information and informed opinion about children and young people with SEN.
See SEND flowcharts EHC plans for example. Their SEND Info menu, at top of screen, offers more detail about Special Educational Needs. Hover over it to see what is there. Education may be linked to health these days. See their Health menu. Also, how are the SEN & Disability reforms of 2014 going? See Education News. It probably makes sense to look at Where to start first. The Individual Education Plan is something for children with special educational needs. The PDF icon is an bullet point outline. The page icon offers a bit more detail. Here are some links for parents of children who may have special educational needs (SEN) in Lincolnshire. Educational needs may now be considered together with health and care needs in an Education Healthcare Plan (EHCP). The definitive Department of Education SEND guide – start with the chapter: What is it about? Post 16 – now for all young people: FAQ See also: Preparing for Change about post 16 support. Lincolnshire Parent Carer Forum: Legislation.